A remortgage is a process of changing your mortgage provider. Commonly this is done to save you money and knock years off your mortgage term. We will work with both lenders, new and old, to facilitate this switch for you. Our Case Handlers are the people who will be dealing with your remortgage transaction. They are highly trained and are managed by Team Leaders and Team Managers who have up to 20 years experience of the remortgage process. Find out more here. Your Case Handler will keep you informed throughout the transaction and ensure you are kept up to date. What is a Fees Assist? This is when a bank, for whom GPL work, pay the fees of a straightforward freehold remortgage. Although often referred to as a ‘Free Legals’, anything outside of this including bank payments, fees for undertaking a Transfer of the Property or a Deed of Postponement for example, are payable by the customer. 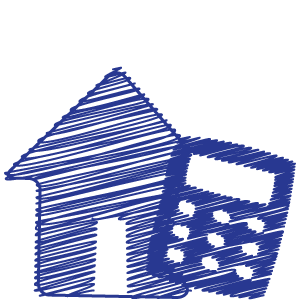 Prices for a remortgage can vary depending upon your personal circumstances and the property you are remortgaging. Prices can range from £100 – £599 plus VAT and can be dependant on third-party costs, such as search fees. We will always give you an all-inclusive price before we start working for you. The price will only change if your instructions do and we will always discuss the potential impact on the price before the cost is incurred. How does a Sale work? Once you have agreed a sale with your buyer you will need to instruct a solicitor to act on your behalf and this is where we come in. We will act on your behalf, facilitating the sale and answering any questions the buyer’s conveyancer might have. The Property Sales Team specialise in Residential Conveyancing for both leasehold and freehold property. Our qualified Conveyancers will conduct the legal work aided by a well trained Support Team. The Conveyancing Team recognise the stresses associated with moving home and will support you throughout the process. We are unable to provide an exact time frame but the sale process usually takes between 4 – 8 weeks depending on the varying circumstances. You may be asked to pay a small sum at the beginning of your transaction to cover the initial third party costs.The balance of any fees and disbursements will be requested from you between exchange and completion. If you decide not to continue with a property sale you may have still have to pay any third party costs. We will always discuss the potential impact on the price before any further cost is incurred. 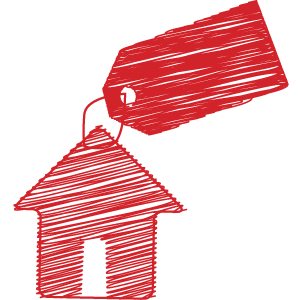 Our prices for conveyancing vary depending upon your personal circumstances and the property you are selling. Prices can range from £199 – £599 plus VAT and can be dependant on third-party costs, such as search fees. We will always give you an all-inclusive price before we start working for you. How does a Purchase work? The process of buying a house can be a long and stressful journey and your conveyancer is here to make the process easier. Your conveyancer or solicitor will deal with transferring the title deeds and making sure your new home is purchased legally ensuring that you legally own the estate. They are also responsible for a number of other duties such as reviewing searches and communicating with your mortgage lender so that you don’t have to. The Property Purchase Team specialise in Residential Conveyancing for both leasehold and freehold property. Our qualified Conveyancers will conduct the legal work aided by a well trained Support Team. Your Case Handler will keep you informed throughout the transaction. If you decide not to continue with a property purchase you may have still have to pay any third party costs. We will always discuss the potential impact on the price before any further cost is incurred. 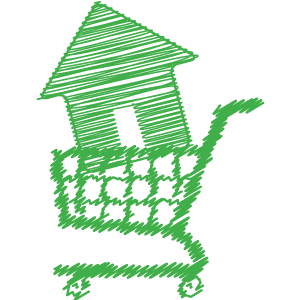 Our prices for conveyancing vary depending upon your personal circumstances and the property you are purchasing. Prices can range from £335 – £1,200 plus VAT and can be dependant on third-party costs, such as search fees. We will always give you an all-inclusive price before we start working for you. The price will only change if your instructions do and we will always discuss the potential impact on the price before the cost is incurred..
We believe we have the best people running the best process. Continual improvement is what we strive for, in both our process and system development and in the way we develop and train our people. We learn from the feedback we receive from our customers and your broker or agent in order to be the best at what we do. By putting the customers experience at the heart of all our business decisions, we are continually improving everything we do to deliver a cost effective, straight forward and transparent service. The GPL team are well trained, engaged with our mission and above all will speak to you in a language that you will understand. We are structured and process driven but agile and flexible in our approach so are able to adapt to customer needs and expectations. Whilst we are confident in the service that we provide, we appreciate that with the volume of cases that we handle, situations can arise which may give cause for clients and customers to complain about our service levels. When such problems occur, we want to know about them so that we may resolve them, learn from our mistakes and improve our service moving forward. For this reason, if you have any complaint about your case, please do not hesitate to let us know. Not sure if you should make a complaint? Complaints are a two-way process that allows both parties to benefit and we want to hear from you. If circumstances arise and you feel dissatisfied with our service, please contact us and let us know the problems you are having. We will discuss your concerns with you on the telephone and do all we can to find a resolution. If you still feel dissatisfied and feel you wish to make a formal complaint, the process for doing so is set out in our Complaints Procedure.